Want to improve your photography and Take Better Pictures in a country rich in senic beauty and History while enjoying great food and wine? Then you’re in the right place! – because for the first time in 3 years Photographer, Film Maker Author Christopher Strong – the “Bicycle Gourmet” (you non-snobby guide to all things French) is offering 4 photo/video workshops for 2014! Transportation for all workshops (except Provence Lavender which is mini-bus) is by BICYCLE. (Provided. You provide the lock) so…DON’T sign up for the cycle photo workshops if you have knee, back or heart problems. STRICT LIMIT of 6 participants per workshop to allow the maximum amount of individual attention. 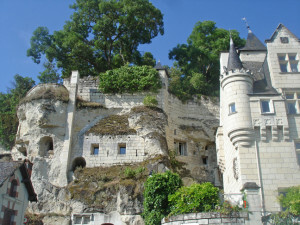 Workshop One: Loire Chateaux and River Villages. 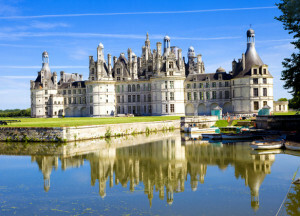 Gliding effortlessly along the cycle paths of Europe’s second largest river you’ll discover the Loire’s picture postcard river villages and the Chateaux of Angers, Saumur, Montsoreau, Chinon, Chambord, Chenonceau. (and more) Experiencing Spring in the Loire you’ll understand instantly why this was the preferred playground of Kings of France. Workshop Two: Hilltop and Exceptional Villages of Provence. Our route winds through the majestic Luberon National Park, where you’ll taste the exceptional wine of the village aptly named “Lumiere.”(light) Nearby your jaw will drop at the abundance of photo opps in the Hilltop Villages of Lacoste (Chateau of the Marquis de Sade), Menerbes, Bonnieux and Gordes. One of the great spectacles of Nature (and some serious photographic candy) is the emergence each Summer of French Lavender. The color and perfume of this amazing plant is an experience beyond words. 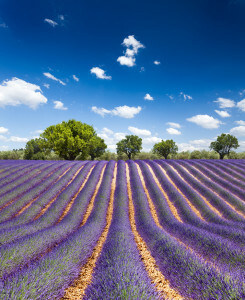 But you’ll have the opportunity to try to capture that experience on film as we visit the heart of Lavender country, shooting on the plain of Valensole, Sault, then continuing on through the Gorges du Verdon (France’s “Grand Canyon”)to the faience famed village of Moustier St. Marie. Workshop Four: Rhone Valley Wine and History. Wine photography opportunites (and wine tasting!) you’ll never find elsewhere as we shoot and taste the famed Rhone wines of Beaumes de Venise, Vacqueyras, Gigondas, Sablet, Seguret to name a few. You’ll explore the Roman ruins in the Historic village of Vaison la Romaine, crossing the ancient bridge built in the Ist century AD. Generally we shoot early morning/late afternoon evening, taking a break during the (often) searing heat of the day. Each night we review the day’s shooting. Accomodation (included) is a mixture of small hotels, guest houses and gites, depending on the particular workshop. Paypal 50% of the tuition fee to: treasures@soulmuse21.com indicating the workshop and dates you prefer. We’ll confirm your dates and/or suggest others if they aren’t available, as well as forward complete details. Final payment is due 60 days before the start date. Cancellation 45 days before the start date – full refund. 30 days before – 50% refund. Cancelling after 30 days – No refund. I look forward to sharing the “Treasures of France” with you! can’t think of a better new years prezzie for me! ;..i’m all over this like a cheap suit! hey garth..i don’t know that i’d put i exactly that way….but i’m definitely gonna be getting on board for the loire tour…..really a dream come true! great stuff bg! i’m been interested in going to france for a long time..but none of the other tours really appealed to me….so your workshops are just what the doctor ordered. totally agree with you dave….but to be more cporrect about your analogy with the doctor….just what the doctor WOULD have ordered..if he/she was a photographer! 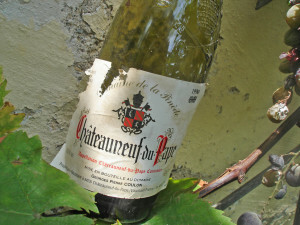 that photo of the bottle of chateuneuf for me is totally france..and really gives the down home atmosphere; i’ll be there! this is too great a banquet§ too much to digest! i hear that karen! i’d like to go on ALL of them! but how to choose??? i guess i’m like most of your other commentators – BLOWN OUT OF THE WATER! ..by all the truly incredible options you’re offering here. i get your drift rennie……truly!…but i think for most people(me included) it’s going to come down to WHEN we’re available….not when the workshop is. make sense? makes sense to me sandra!….but too bad, as one of the other commentors said…it’s not possible to take them all!